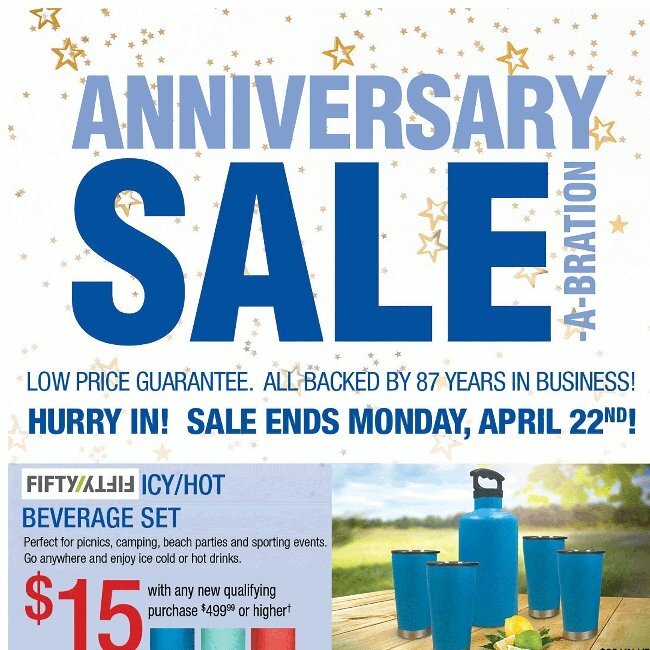 Final Week of our Anniversary Sale-a-bration! 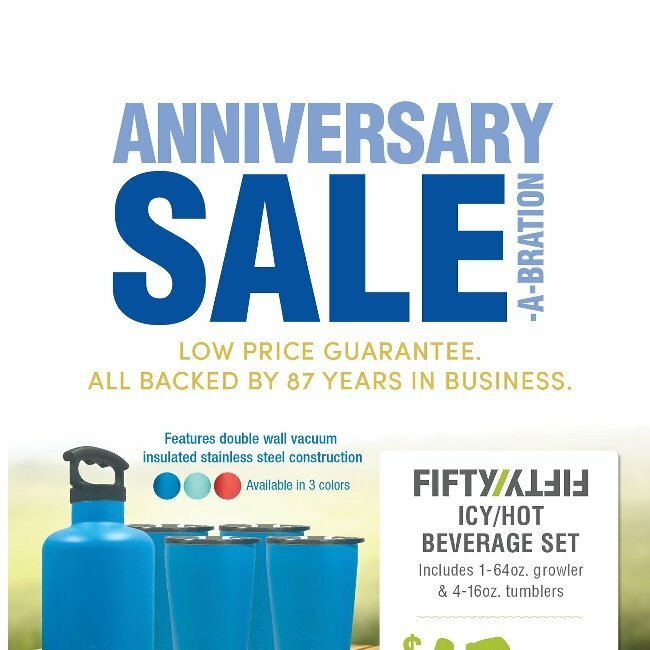 This is the final week of our 87th Anniversary Sale—don't miss out on spectacular storewide savings! Plus, come in for FREE hot dogs & drinks this Saturday, April 20th, from noon to 4 pm. 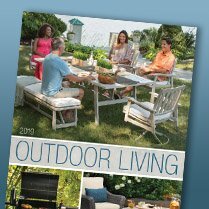 RC Willey is the ideal place to find a great price on just what you need for your outdoor living spaces! 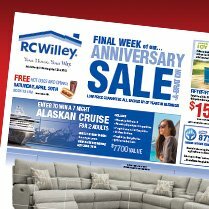 Save on pool tables, mattresses and more! Patio Furniture, Grills and Speakers; Spring is Here! 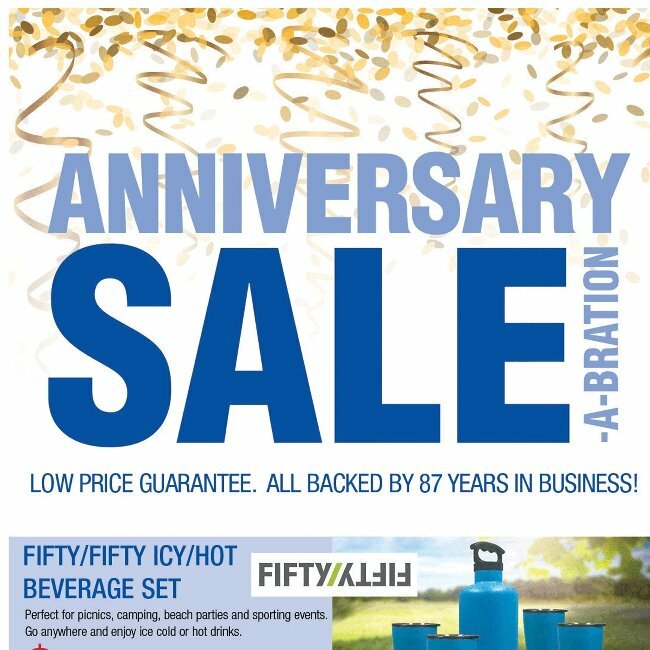 Fifty fifty icy/hot beverage set $15 with qualifying purchase! Hi , Hurry Now! Because These Savings Won't Last! 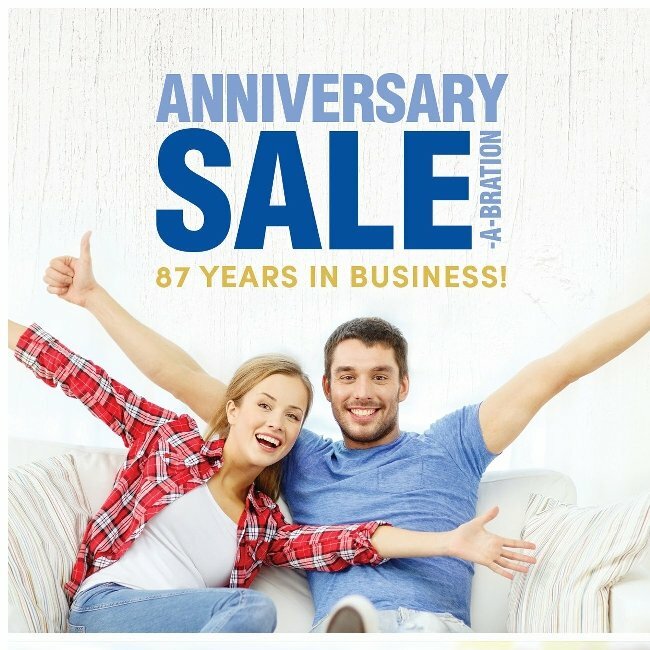 Now is the time to save on your new bedroom set, appliance and more! Savings, Savings, Savings! 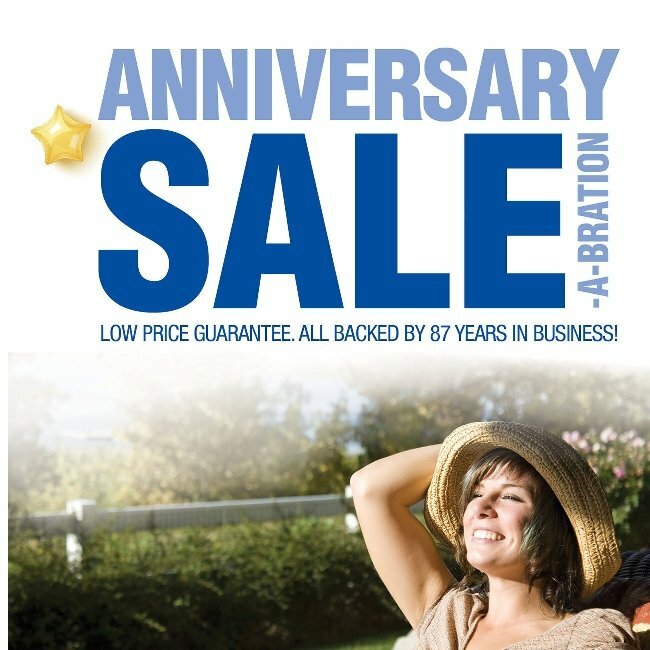 Happy Anniversary Sale! Save up to $200 on dining + more savings on sofas and appliances. Hi , Shop Huge Savings on Flooring and Furniture! 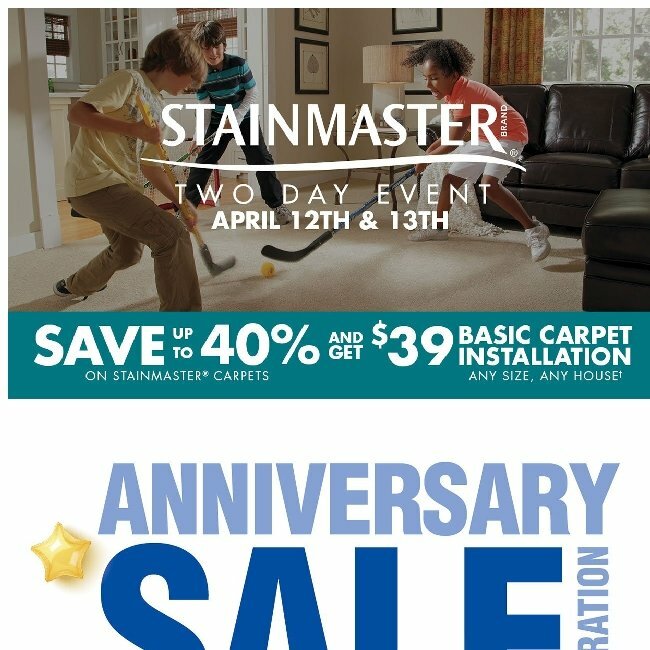 Our Anniversary sale is the time to save on flooring, furniture and more! Want to receive the current ads? Sorry, there are no billboards available at this time in your area.